Our now-legendary Yinz Team exploits began about a year ago, when a bunch of us joined a softball team assembled by TehJim. Since then, there has been bowling, ice skating, flackle football and a seemingly unlimited number of opportunities to go out drinking together. But it all started with softball. And we’re just a couple weeks away from returning to the diamond again. Last year, we had a tremendous amount of participation; it didn’t help much on the field, as we finished the season without a win. But as I pointed out at the end of the season, we had more fun that the rest of our league combined, and that has resulted in an unprecedented amount of interest is playing with the team this summer. How much? So much that meaningful participation in one of the city’s leagues would be impractical. The solution? A Yinz League of our own. Yep. We have enough people for two teams, so we’re going to beat up on each other for a season. TehJim is managing one team; the other team will be led by The Other White Jim, whom you may know as local TV traffic and transportation guy Jim Lokay. Mrs. Crappy and I are playing on Team Lokay, along with a few other Yinz Team veterans and a few promising newcomers. Over on Team Shireman, there’s already talk of drafting letangssexhair at the conclusion of the hockey season; I’m not sure whether that plan will actually work, but two things are already pretty clear: Shireman’s going to have his hands full, and the whole thing should be pretty freaking entertaining, perhaps to the degree that we should try to sell tickets. The bad part? I’m not certain there will be a bad part. Mrs. Crappy and I didn’t participate in Spring Training, which consisted of one practice two weeks ago. I have, however, already been to the batting cages once, and came away in better shape than I was in after my first BP last spring. So. I’m looking forward to a summer full of ballgames that will further the legend of Yinz Team. Let’s play ball, yinz guys. Hmmm and why would tehjim have his hands full? Not sure where you are going with that??? PS he picked and put the four of us on a team! We should just have a reality show or something. Someone should get paid for this brilliance! Looks like you should get yourself some batting gloves brother. I think it’s silly to say, “have fun” because that’s a given. AMC: We should all get paid for this brilliance. 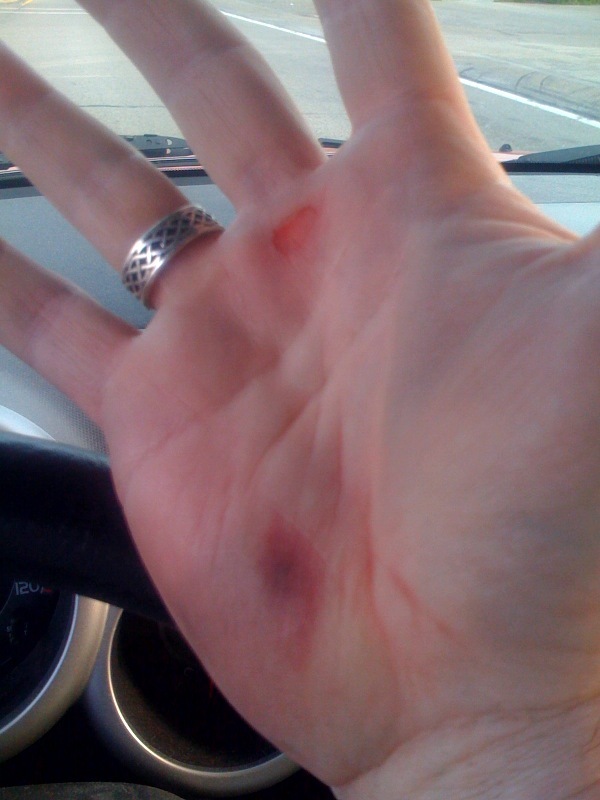 E: Unfortunately, that damage was done with batting gloves on. 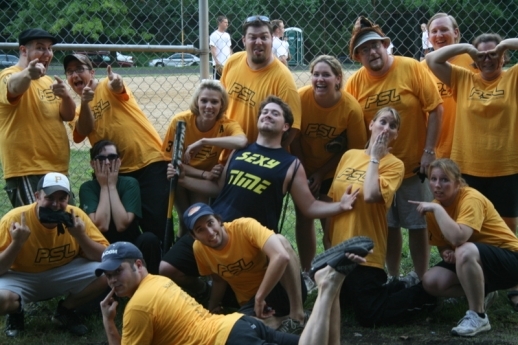 YinzTeam has become *way* more than softball, but our softball team is at the core, and I won’t lie… I miss it. A lot. ….there’s no YinzTeam in Baltimore…. Previous PostPrevious ramble on rose. Next PostNext a concerted effort.